The kids and I are playing hooky on a Wednesday. They have dentist appointments, it is a beautiful, warm, sunny fall day – and the dentist office is downtown. We (I) figure that maybe we can turn the day into a bit of homeschooling fun! 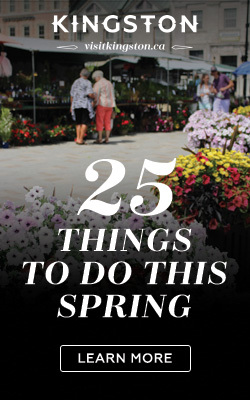 Instead of wandering around the streets aimlessly, I decide we should take in a walking tour or two while downtown. After a lunch to go from Card’s Bakery (including giant peanut butter chocolate chip cookies) that we eat at the bistro tables set up at Market Square, we scoot around to the front of City Hall to commence our self-guided Historic Walking tour, of which I have downloaded into my phone! 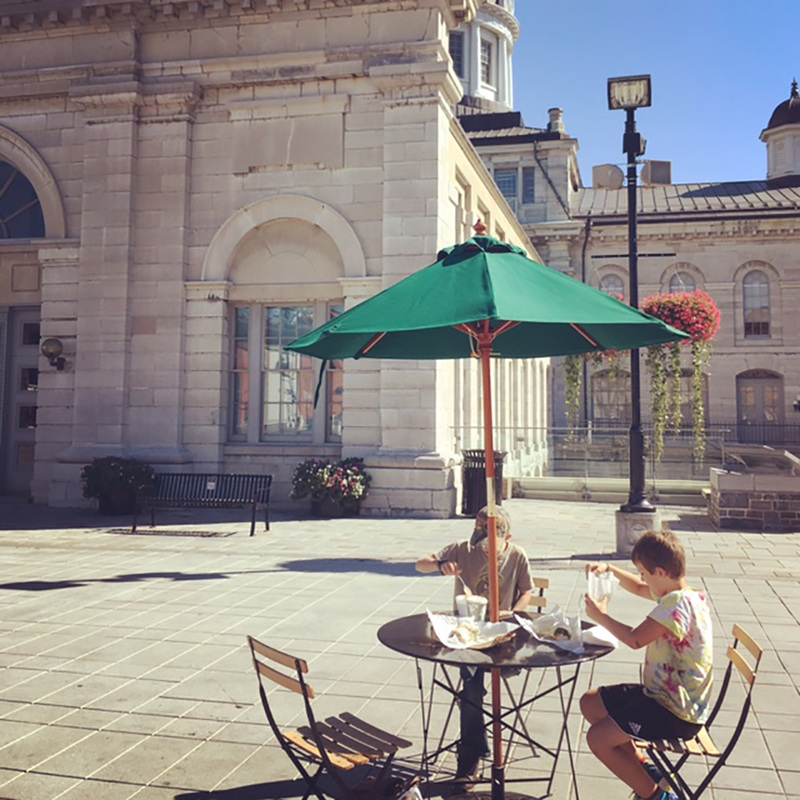 On the Ontario Street tour, we learn that City Hall was built from 1842 to 1844, and that the building is Palladian in style – and we visit two railway stations on Ontario street. We are reminded of a few things we had already learned last year when we did the In Sir John A’s Footsteps self-guided walk. We then connect up with Waterfront Path towards the K-Rock Centre to visit the Inner Harbour. The tour here, Life & Labour in the Inner Harbour, takes you through a small piece of Kingston I suspect you haven’t really explored! 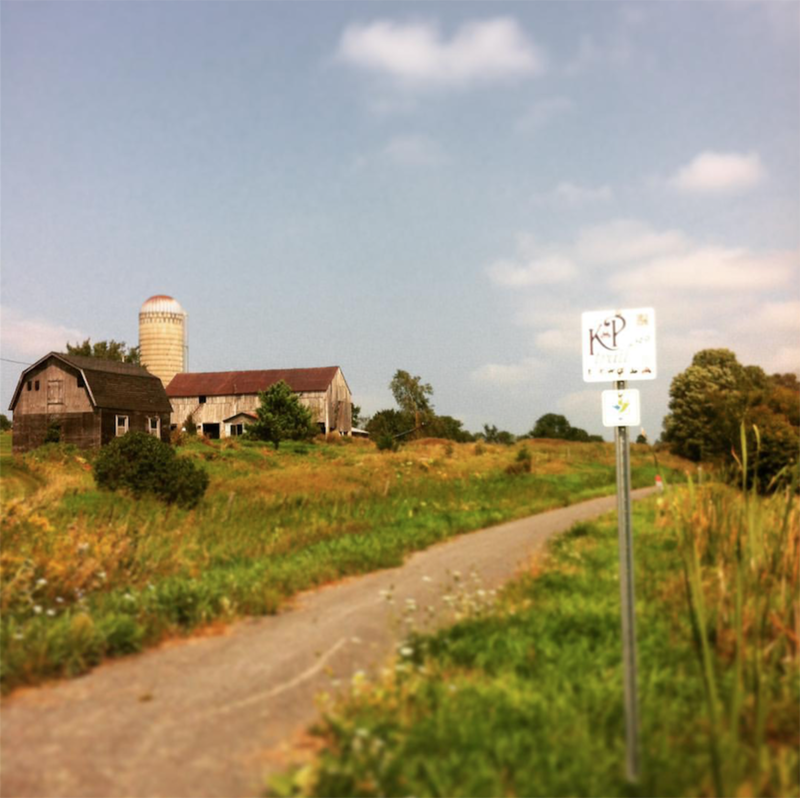 Much of the path is through a park following the Cataraqui River, and you will learn about tanneries, breweries, broom factories, woolen mills and more! Download the app for this tour, as the audio component and illustrations definitely add to the experience! While we haven’t walked the Waterfront Path in it’s 8km entirety in one go, we very much enjoyed this historical section. 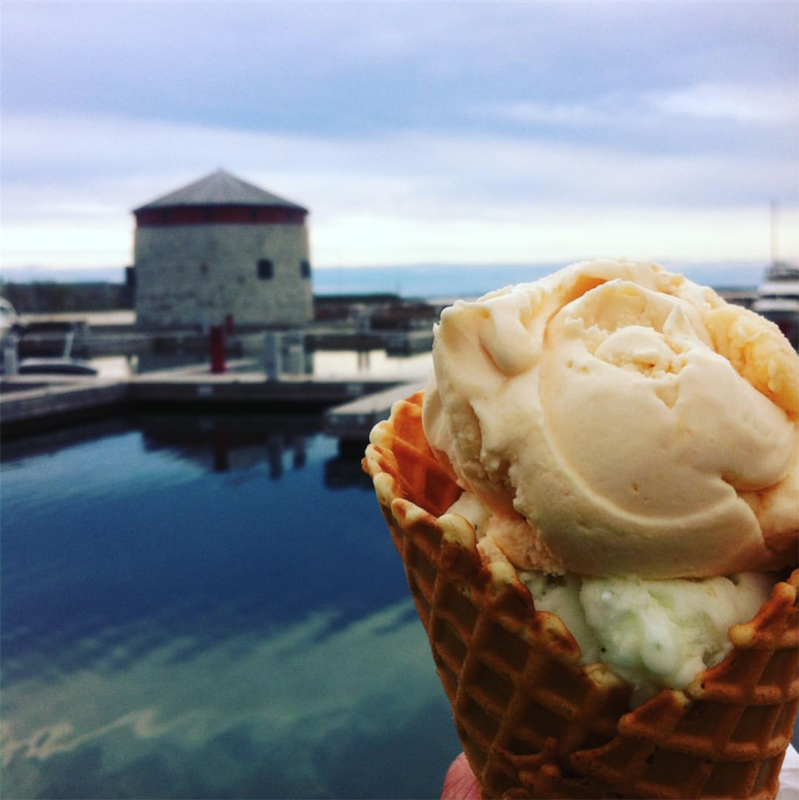 Earlier this season we explored the other end, at Lake Ontario Park by bike, and of course the middle section through downtown, with ice cream in hand! After our dentist appointments, rest time, and dinner at our favourite pub, the whole family heads out for another historic walk-this time by lantern light! We have joined up with 8 other brave souls to explore the spooky history of Kingston, on a Haunted Walk Tour. 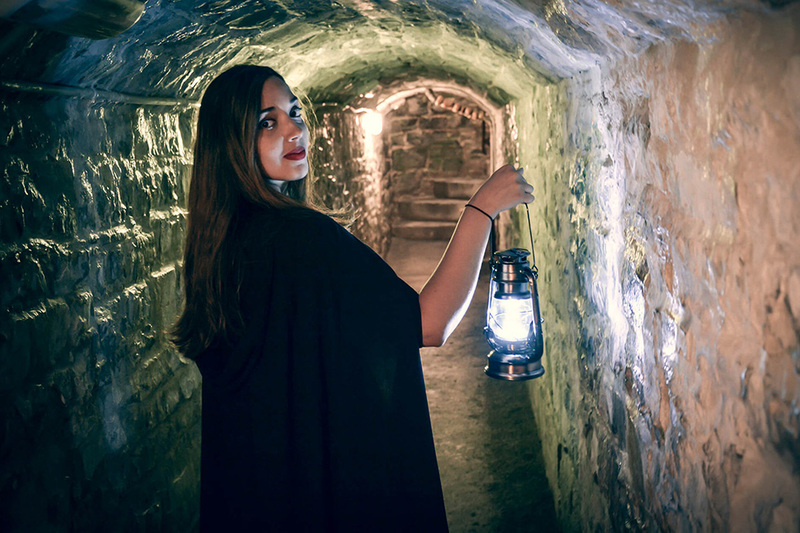 On this 90 minute guided tour we discover a few of the beautiful and historic inns have resident ghosts. We learn about a grand building that was once a school for boys – that suffered a tragedy. We are introduced to (but don’t get to meet!) Theresa Ignace Beam, the ghost that haunts the limestone alleys behind Chez Piggy and the Toucan in an attempt to get the living to help her find her bones. We also learn that the Tir Nan Og has a spooky past, the story we are told reminds us of an incident my family experienced a number of years ago at the pub involving our then 2 year old son. It seems that there may be a presence of sorts in the basement; our incident involves a hole in the floor our son peered into at a Christmas party. He quickly backed away, and wouldn’t go near it again, nor tell us why. At the end of our tour, our tour guide tells us of a couple of other tours offered by the company, one of which occurs in the underground tunnels of Fort Henry; Tales from the Tunnels. This tour operates only during the month of October in conjunction with Fort Fright. Anyone interested in taking this spooky tour with me? My family’s out on this one. A promotional shot from the Haunted Walk of Kingston; unfortunately my camera doesn’t photograph the best in low light!